Below is some brief information on each club. Be sure to check out the individual websites for further details and the most up-to-date club info. If tryout dates are not posted, do not hestitate to contact clubs to find out that info!!! Guest Appearances and instructional from Professional NLL and MLL Lacrosse Players. GameBreaker is excited to announce the return of director Mark Duncan to the area for this year’s Kiski School camp. Mark is currently in his eighth season as Head Coach of the Shipley School in Bryn Mawr. During this time he has led Shipley to six league championships and was named Northeast League Coach of the Year. Kiski School camp will be a residential camp (offering overnight and extended day options for both boys and girls) running from July 22-25. This camp is open to ages 8-18 and campers will be divided into groups by both age and ability (boys and girls on separate fields). To view our camp brochure please CLICK HERE. The brochure has more camp details, so we ask that you please pass it along to your team players and parents. You can also visit our website, www.LaxCamps.com for more information on the Kiski School camp. At Andrew’s request, we’d like to extend a special discount offer to your players. Anyone who registers by June 21st will receive $30 OFF the price of camp by using the KISKI2013 coupon code. Arrow Lacrosse was found in 2010 to bring continued lacrosse instruction and playing opportunities outside of regular season. Our program has a track record of great success in developing new and experienced players. In 2012 we started the Arrows Academy to offer year round training to players who personally want to be better at the game. Our coaching model employs experienced adult head coaches mentoring college players who are our assistant coaches. This coaching style provides a better and more structured experience for the players because the college players are learning to be role models while teaching the kids their knowledge of the game. As experienced coaches and parents we also understand that lacrosse needs to be affordable for the family. We institute fair pricing in all of our programs. Our summer teams have the opportunity to play weekly in our league along with practices. We understand families have vacation so we typically play in a two local tournaments (you can sleep in your own bed) and one travel tournament. For more info on Arrows travel teams,academy, league, and more, please visit the web site at www.arrowlax.com! We hold year-round lacrosse training through clinics, camps, and club teams. These platforms teach and enforce fundamentals that are the makeup of any successful lacrosse player's game. We break everything down to the most simple, basic, and important fundamentals and place high expectations on being able to execute these things, as without them, it is impossible to Reach Your Potential. Club teams are used to take the best players from this region and represent the area in the best tournaments throughout the country. The benefits of playing for our club teams are being able to play with the best players from this region where we can focus on more detailed aspects of the game. Using our network of college coaches ranging from D1-D3, we walk our players through the recruiting process and help them get in front of hundreds of college coaches during the summer. Our staff is made up of coaches that are some of the most knowledgeable and passionate people in the sport who formerly played in Pittsburgh and went on to play at the D3-D1-MLL levels. We have learned from the best coaches in the game and now are eager to sharing these experiences with the players we care about the most – THE PITTSBURGH PLAYERS! For more information, please visit their website at www.lowandaway.com! Pittsburgh Lacrosse focuses on creating players and teams that enhance and improve the visibility of our teams. This is done through increased practice, improved player selection and the necessary commitment of the players to focus on the entire six-week season. Visit the website at www.pittsburghlax.com for further tryout information! 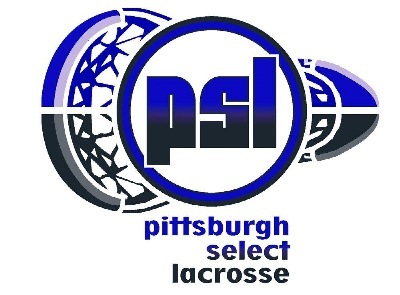 Pittsburgh Select Lacrosse offers seasonal travel teams for boys in high school, middle school and elementary school levels and for girls at the high school and middle school levels. The club’s focus is to offer well-organized and expertly coached lacrosse teams and educational activities designed to assist young players in developing and refining both individual and team skills in the game of lacrosse. Pittsburgh Select Lacrosse’s goal is to offer the finest lacrosse instruction and challenging developmental lacrosse activities in a safe, disciplined and exciting environment so that youth players can develop into fine young men and women while attaining the skills necessary to enjoy the game of lacrosse and play it to their fullest potential. Visit their website at www.pghlax.com for more information and to register to tryout. True Lacrosse is committed to the expansion and progression of lacrosse. Our combined knowledge, experience, and passion allow us to offer the best service, products, and guidance necessary to further develop the fastest game on two feet. Our mission is to spread the game of lacrosse throughout the entire Midwest and onto areas of the country where lacrosse has not been fully embraced. We understand that lacrosse is a lifestyle not a hobby and we value the dedication required to excel in this sport. Please visit TRUE'S website for more information on the program and teams HERE!